With the passing of Landon T. Clay on July 29, the mathematical world has lost one of its most generous benefactors and the Clay Mathematics Institute has lost its founder and inspirational guide. Landon Clay was not a mathematician by education—he studied English at Harvard. Nor was his interest that of an amateur problem solver; rather he was driven by a deep appreciation of the beauty and importance of mathematical ideas and by his desire to share his understanding of the contribution they have made and continue to make to human development. 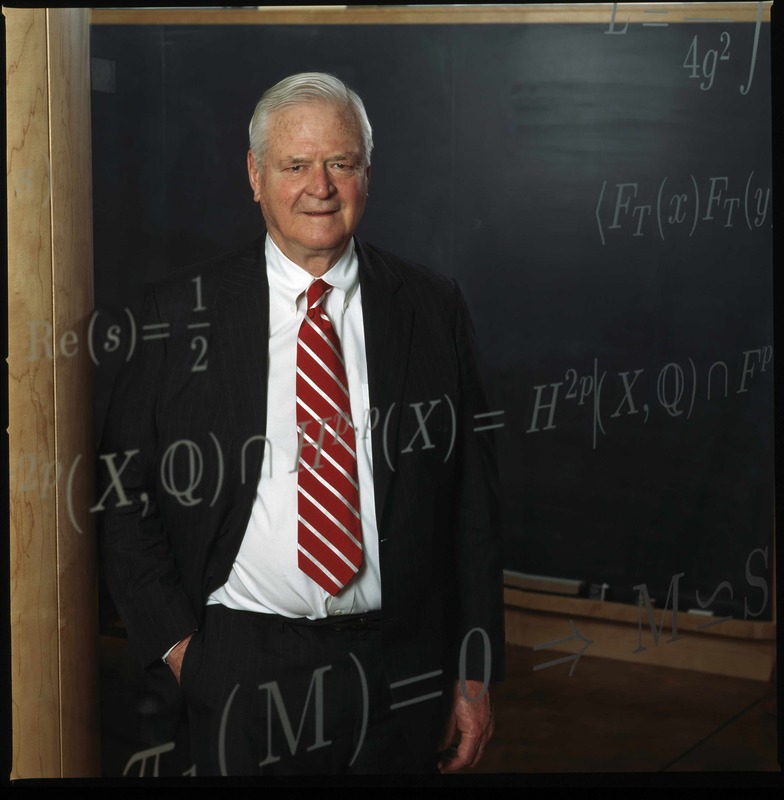 Landon Clay’ s generous philanthropy and wide-ranging intellectual curiosity led him to support a broad diversity of scientific and educational projects, but above others the Clay Mathematics Institute carries the stamp of his ingenuity and imagination. It grew out of his own study of mathematics as a serviceman in the final months of the Second World War and his realisation that the contributions of mathematicians were constantly undervalued by those telling the story of our civilisation. His creation of the Millennium Prizes was an inspired step towards a solution. There are many prizes in mathematics and they are hugely valuable in recognising the achievements of individuals and in encouraging others with the message that their long, patient, and private efforts need not go unrewarded. But often they have little impact beyond the apparently closed and introspective world of mathematical research, not least because the work they celebrate is so far from familiar territory. When the questions are incomprehensible, little attention will be paid to the answers nor to those who find them, however brilliant and original. The subtlety of the vision behind the Millennium Prizes is that they focus attention not on the prizes themselves (although the offer of a million dollars does grab attention), but on the problems—the Millennium Prize Problems. They provide reference points for the vast terra incognita of mathematics, whether in popular culture or in formal education. They allow others to glimpse that the frontiers of mathematics are alive and that they are places where each generation can do great things. The inclusion of the Riemann Hypothesis in the list helped to inspire many brilliant and thoughtful books that not only set out the question in simple terms and explain why it is important to answer it, but also spread understanding of the nature of the mathematical enterprise and of the absolutely central importance of proof. It is not enough that the predicted location of the zeros of the zeta function has been verified in trillions of cases—that is evidence, but not the answer to the question. When the answer is finally found, the reaction should not be one of incomprehension and indifference, but rather of understanding that something of huge significance has been achieved. Landon Clay appreciated, in a way that those who distribute public funds cannot permit themselves, the importance of giving the brightest young mathematicians the space and freedom to develop their ideas free of financial concerns and of the constant distractions of assessment and proposal writing. The Clay Research Fellowships give precisely that—five years of freedom. The achievements of those who have benefited have been spectacular, illustrated not least by the award of three of the four Fields Medals at the last International Congress in 2014 to former Clay Fellows. One of those was to Maryam Mirzakhani, whose own recent untimely death is also mourned by the whole mathematics community. The achievements of the Clay Research Fellows and the Clay Mathematics Institute itself will stand as lasting memorials to Landon Clay’s vision and generosity. For nearly twenty years Landon Clay has passionately supported mathematics through his founding of the Clay Mathematics Institute. Landon always felt that mathematicians were not sufficiently appreciated or supported and wanted to help redress what he felt was an injustice. In creating his institute he has succeeded far beyond any of our initial hopes in bringing the excitement, depth, beauty and value of mathematics to the general public. At the same time he has created a means for the support of mathematicians that is a model for other foundations in its willingness to help throughout the world without any precondition except that it should further mathematics at the highest levels. It has been a great personal privilege to have known Landon and to have served on the scientific advisory board of the institute during this time. Landon’s guidance and support have been pivotal throughout the institute’s history. We will greatly miss one of mathematics’ most generous and visionary supporters.